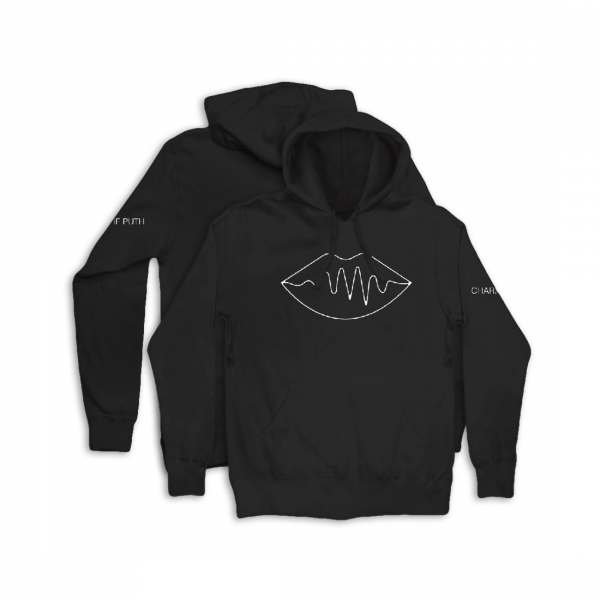 Exclusive black pullover hoodie that features Charlie’s logo printed on the sleeve and a “VoiceNotes Lips” design printed on the front featuring Charlie’s logo and name. Hoodie also features a drawstring hood and kangaroo front pocket. Available in sizes XS - XL.